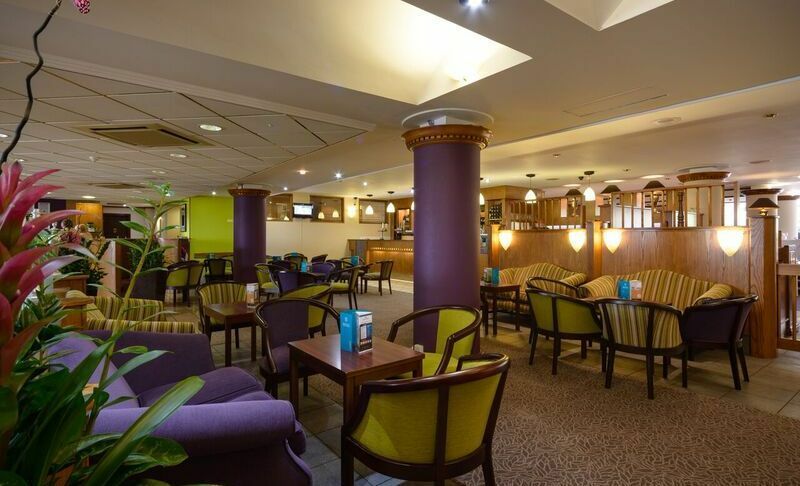 Huddersfield’s only 4 star hotel welcomes you with friendly staff and wonderful amenities. Conveniently located, the hotel is an ideal base for your golf break being situated just 3 miles from Huddersfield Golf Club and 5 miles from Crosland Heath Golf Club. Our hotel has recently benefited from over £500,000 investment creating stylish bedrooms, our vibrant new restaurant Grill , modern meeting rooms and state of the art gym equipment in our health club. We offer a popular range of party and tribute nights throughout the year as well as offering a range of suites for private functions, weddings and parties. Our restaurant Grill  is open to residents and non residents seven days a week. We have 113 well-appointed bedrooms at Huddersfield waiting to welcome you. Approximately 75 percent of the hotel's bedrooms have been recently refurbished offering modern, bright accommodation. There are a range of room types available including double/twins, superior, interconnecting rooms and 1 suite. All guests are able to enjoy free WIFI, free car parking and use of the health club during their stay. Following on from a total refurbishment of the hotel's ground floor area, Grill  opened in the summer of 2015 and offers a relaxed dining environment and a delicious menu specialising in rotisserie chicken dishes and char grilled burgers. Our Bar menu offers a great selection of soups, sandwiches, light meals and homemade classics daily. The Cedar Court Hotel Huddersfield / Halifax offers excellent fitness facilities to both members and hotel guests including a recently refurbished gym with new state of the art equipment . In addition to the gym, there is a heated pool with children’s area, sauna, steam room, hydrotherapy hot tub and sunbed.